The search for riches in the ground has motivated some of history’s most extravagant endeavors. It has inspired explorers, enslaved populations, and put opera houses in dusty mountain towns. But when the boom ends, the miners themselves have often been left in the lurch. They handle the raw material, turn it from hard earth to something potentially of value. Fabulous wealth comes to only a few, who rarely hold onto it long enough to be considered lucky. The search for bitcoins is little different. 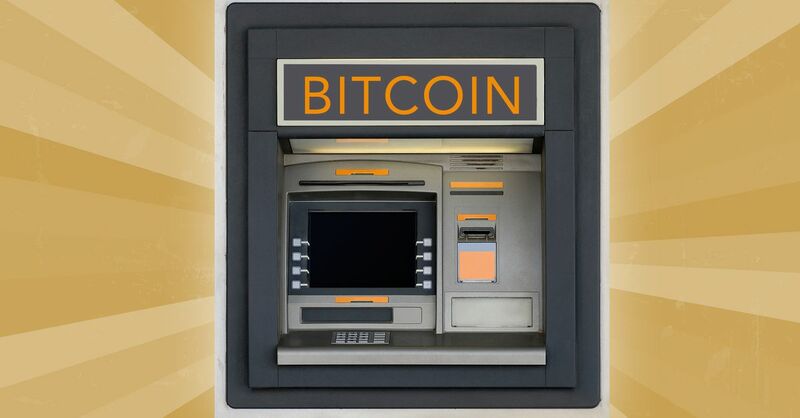 The Bitcoin Center NYC, the self-described “center of the Bitcoin revolution,” inhabits a retail storefront on Manhattan’s Broad Street, a block from the New York Stock Exchange. The staff of an Asian-infused kosher steakhouse next door occasionally shoos loitering Bitcoiners from the sidewalk, indifferent to the revolution allegedly underway. Inside the Bitcoin Center, two small tables off to one side house a menagerie of Internet-age extraction equipment: Bitcoin mining machines. They resemble boxy desktop computers, only larger and without screens or keyboards attached. Only one of them, the CoinTerra TerraMiner IV, was in use during a visit I paid to the Center last November, emitting a purr of white noise. But the thing was still pretty much dead weight. The TerraMiner IV rests on the table horizontally, encased in black metal, with rack-mounts and two stainless steel grates on either end that look like the eyeholes of a deep-sea diver. The grates cover fans that cool its array of application-specific integrated circuits, or ASICs—advanced chips that do little else but churn through the complex cryptographic math that processes transactions for Bitcoin, the world's most famous virtual currency system. In return for their calculations, miners earn payouts of new bitcoins from the network, plus transaction fees from users. Like its non-virtual namesake, mining cryptocurrencies can be lucrative. But this TerraMiner IV has little hope of reward. At just about a year old, the miner represents a particularly rapid and fateful instance of the obsolescence that awaits every gizmo that alights on the cutting edge. Because of competition from faster, sleeker models now on the network, it can no longer mine enough bitcoins to pay for the electricity it burns. Even the newest miners may no longer break even, as the value of a bitcoin continues its free fall from a high of over $1,100 in late 2013 to less than $250 today; the 25 bitcoins that the network spits out about every 10 minutes may not be worth the trouble it takes to earn them. CoinTerra, the TerraMiner IV's maker, filed for bankruptcy on January 24. Like a used-up gold mine, the machine lends even the Bitcoin Center's busiest evenings the sensation of a ghost town. Bitcoin was supposed to usher in a new, global economy—gold for the Internet age, managed not by a central authority but by infallible algorithms running on the computers of those who use it. The first converts were tech-savvy utopians, whose bitcoins went from being worth just cents to hundreds of dollars. A substantial industry of magazines and websites appeared in order to simultaneously report on and promote the new currency. A Bitcoin-based charity in Florida bought a nine-acre forest as a sanctuary for the homeless, and Wired deemed Bitcoin “the great equalizer” for its potential to put financial services in the hands of the (Internet-enabled) poor. It also attracted the interest of innovation-hungry investors like the Winklevoss twins, Mark Zuckerberg's old nemeses. Bill Gates called it “better than currency.” But the Bitcoin revolution has begun to look more and more like the system it was intended to replace—except perhaps more centralized, less egalitarian, and even more clogged by unseemly interests. This was unquestionably a breakthrough. For the first time, the technology underlying Bitcoin made possible a secure, decentralized, open-source financial network. Users wouldn’t have to trust an agency or authority, just the software. Rather than relying on a single institution's server, they shared access to the transactions listed on Bitcoin's digital ledger—the blockchain—which is now more than 50 million transactions long. They mined money out of thin air. Boosters announced that financial freedom would soon be at the fingertips of the previously under-banked, and people anywhere in the world could send money over the Internet with negligible overhead. “It takes advantage of the nature of information being easy to spread but hard to stifle,” Nakamoto prophesied in his P2P Foundation post. The old financial industry’s days were numbered. “Disruption” was on the lips of everyone in the know. As the value of bitcoins swelled against the dollar over the course of 2013, a mining arms race began. People realized that their computers’ graphics chips were better suited to Bitcoin's mining algorithms than standard CPUs, so they built specialized machines overloaded with graphics processors, which increased their chances of reaping a reward. Starting in the first months of that year, ASICs arrived—application-specific integrated circuits designed with the sole purpose of mining coins. Before long the lone miner with a regular computer was a lost cause, unable to compete with the new mining syndicates, or “pools,” and multi-million-dollar data centers in places around the world with the most profitable combination of cold weather and cheap electricity—45,000 miners in a Swedish helicopter hangar, for instance, or 20 million watts in the Republic of Georgia. Together Bitcoin's miners amount to hundreds of times more computing power than the combined output of the world’s top 500 supercomputers. Processing and protecting the more than $3 billion worth of bitcoins in circulation requires more than $100 million in electricity each year,3 generating a volume of carbon emissions to match. The prospects for democracy in the system have grown dimmer still. By the middle of last year, the largest mining pools came within reach of a 50 percent market share—making it possible for them to endanger the whole system by falsifying transactions. What prevents them from actually doing so, apparently, is that it would reduce confidence in the value of the bitcoins they invest so much to mine. They also prevent changes to the Bitcoin software that would lessen their dominance. A distributed network of users now has to trust an oligarchy of capital-intensive miners. Edwin Cuevas III is a 26-year-old airbrush artist who manages a Manhattan yogurt store, decorates cakes at a Carvel in Queens, and interns for Spanos at the Bitcoin Center. He sees in Bitcoin the democratic promise that first attracted many of the earliest adopters. “Where it’s going to be needed most is with people that are under-banked,” he told me. He wants to see it spread not just around Wall Street but back up in the Bronx, where he lives. Cuevas first learned about Bitcoin in late 2013, during the federal government shutdown, from a friend who was using it for “personal reasons.” The following January he came to the Bitcoin Center to learn more. He bought a toaster-sized, 30-gigahash-per-second Butterfly Labs miner for $350 in bitcoins during that first visit.4 A month later, he bought a Titan miner for $2,000. Cuevas admits that the miners have yet to earn back his investment, but they at least help heat his house. He stores whatever bitcoins they bring in for his five-year-old daughter’s education. He also earns a little extra by airbrushing cosmic starscapes on other people’s miners. A certain style of evangelistic piety prevails in the Bitcoin “space,” as participants in the burgeoning industry tend to call it. (From the “wallet” software used to manage accounts to the “coins” in virtual circulation, cryptocurrency jargon relies on the most physical of metaphors.) Optimism is the dominant idiom among enthusiasts, but it seems to rest less and less on any genuine belief than on an anxiety not to see their bitcoins further depreciate. “Some of the New York Bitcoin Center guys are pretty religious,” says Tim Swanson, who has written two e-books on cryptocurrencies in the past year, most recently The Anatomy of a Money-like Informational Commodity: A Study of Bitcoin. Before that, while living in China, he built his own graphics-chip miners. (Some of his miners have since been re-purposed as gaming systems.) Swanson has grown increasingly skeptical that Bitcoin will unsettle the existing finance megaliths. “You have centralization without the benefits of centralization,” he says. Bitcoin's promise of frictionless finance is drowning in the ever more immense cost of mining, user-friendly infrastructure, and appeasing regulators. Bitcoin, in any case, is only the beginning. Last June I went to the Bitcoin Center to hear a speech by Vitalik Buterin, a 20-year-old Russian-Canadian tech-prodigy. In one corner of the room that night, the notorious hacker-troll Weev, recently released from prison, was tinkering on a laptop. “Living off my bitcoins,” he told me, when I asked what he was up to. Attendees drifted around him eating pizza and sipping rum-and-Cokes. With a World Cup game projected silently above him, Buterin presented an update on his new project, Ethereum, a platform that proposes to take what Bitcoin does for money and do it for just about everything else. Rather than processing mere transactions, Ethereum will use a Bitcoin-like blockchain to process complex contracts written in code. It could be the seed of a truly decentralized, more secure replacement for the current web, and could even create entirely new forms of virtual citizenship, defined by data on a blockchain rather than borders or governments. Even as Bitcoin's dollar value declines, it still has the power to conjure utopian ambitions. A derivative of Bitcoin called FairCoin, for instance, is being turned into the basis of a globe-spanning cooperative. Developers in Israel are trying to build a blockchain-based, community-run alternative to Uber. For the most part, though, big business is catching up to Bitcoin’s Edens and remaking them in its image. At Bitcoin conferences nowadays, finance bros mingle with the libertarian survivalists. Ethereum is talked about less as a new world order than as just another killer app. “You have to be practical about what you're doing and not idealistic, because the idealistic doesn't get implemented,” says Preston Byrne, a founder of Eris. The next generation of miners is said to be on the way, too—faster and leaner than any that have come before. It’s another opportunity for consolidation, for greater economy of scale. One hears abut the great potential for Bitcoin expansion to poorer countries, where people need cheaper ways of sending money across borders. But starting in 2016 the network is expected to change how it dishes out rewards to miners, which will likely result in much higher transaction fees. “Distributed technologies do not necessarily lead to distributed outcomes,” writes Michel Bauwens, the Belgian-born founder of the P2P Foundation, which Satoshi Nakamoto turned to early on to promote his vision. Bauwens points out that the Bitcoin economy is more unequal than the conventional one. Currently, the top 100 users hold at least 20 percent of the wealth. Entrusting our money to algorithms, it turns out, is no guarantee of a better result than managing it with flawed institutions and flawed people. Perhaps we should be imagining tools that help us trust each other more, rather than entrusting ourselves to a rush for digital gold. The technology at work in Bitcoin can do this. It can be rearranged for cooperation rather than competition, for reputation rather than anonymity, for democracy rather than oligarchy. Some experiments along these lines, among the hundreds of “altcoins,” do away with intensive mining altogether. But unlike Bitcoin they're short on financing and evangelists. The allure of the machines makes it easy to forget that what we need is not a newer, slicker system but a better society. “What is this Bitcoin?” she asked the staffer, who embarked on a long explanation of Bitcoin as a “layer” on the Internet for finance and of the cryptographic mechanics that kept secure. He was far from done when Miss E started to look like she was ready to leave. Like any circuit, miners give off heat when they're operating. Bitcoin miners are designed to run at full power all the time, which means they give off a lot of heat. Enthusiasts like to emphasize the impressive math involved in keeping Bitcoin secure, but what really holds the whole enterprise together is game theory based on the assumption that the participants are rational actors. The Bitcoin system thus relies on mathematics, computer science, economics—and anthropology. The exact amount is tricky to compute, because the efficiency of individual miner varies, and each locale in which they operate draws power from different sources at different levels of expense. A hash is the work it takes to solve an equation in the Bitcoin mining process; a gigahash is a billion of them.